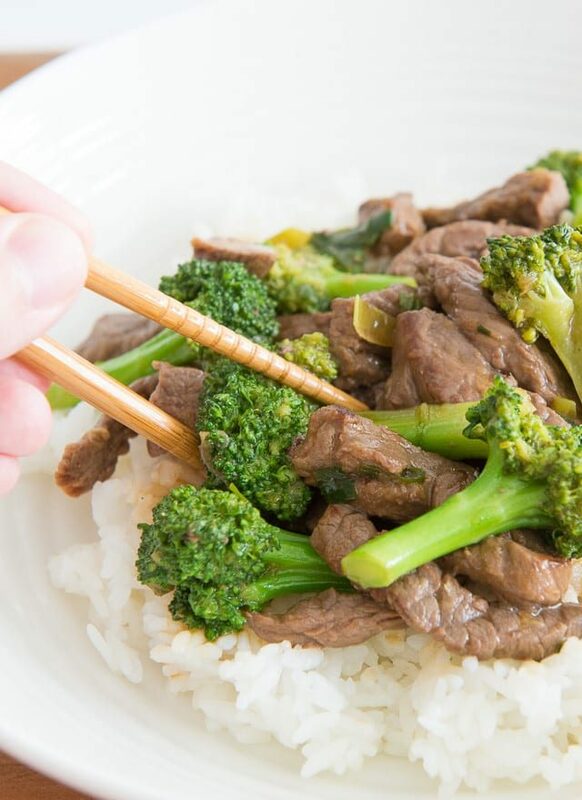 Beef and broccoli is one of the easiest Chinese takeout recipes that you can make at home, and it’s quick enough for a weeknight meal. Chinese food is a cuisine I love SO much but am rarely satisfied to eat out. Chinese takeout would be a dream if I could find a place using a quality of meats that didn’t have me chewing gristly bits or unexpectedly chomping down on big hunks of fat. The meat is often covered in sauce and it’s hard to tell until you take a bite! I’ve made a handful of Chinese takeout dishes at home over the years (see Fried Rice, Orange Beef, and Kung Pao Chicken, to name a few), and the thing that I’ve discovered is that Chinese food is actually quite easy to make, provided you have the right ingredients. 1. 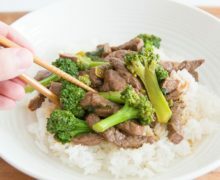 If you’re committed to the idea of making your own Chinese food at home, you can go to a Chinatown or hop on Amazon to buy things like Chinese Rice Cooking Wine and such, and know that you’ll make these dishes again and again. Or 2. You can substitute ingredients you probably DO have, and settle knowing that the flavor will be mostly there but not exactly the same. 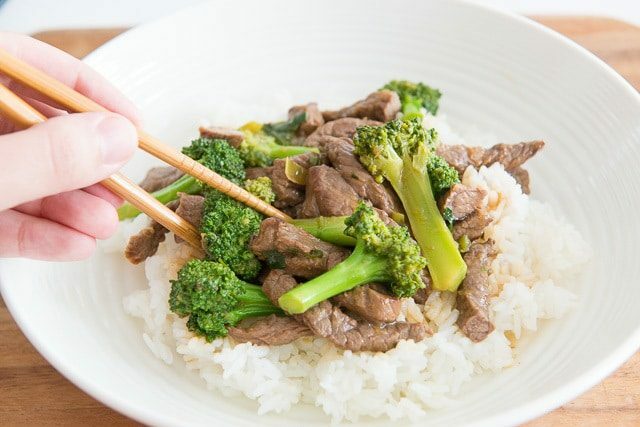 Fortunately for Beef and Broccoli, the ingredients are pretty standard except for the rice cooking wine, and you can substitute that with other types of alcohol. I’m using boneless beef sirloin here, but if you’re willing to spend more money on more tender cuts, you could use ribeye or strip. Heat a wok or high sided skillet over high heat, then add half of the beef. 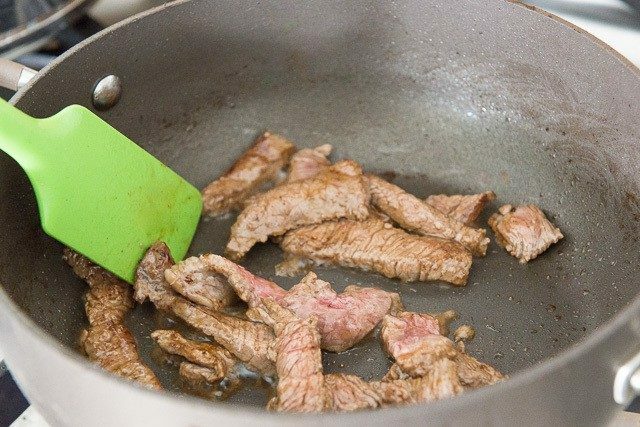 Remove the beef from the pan, then repeat with the other half of beef. 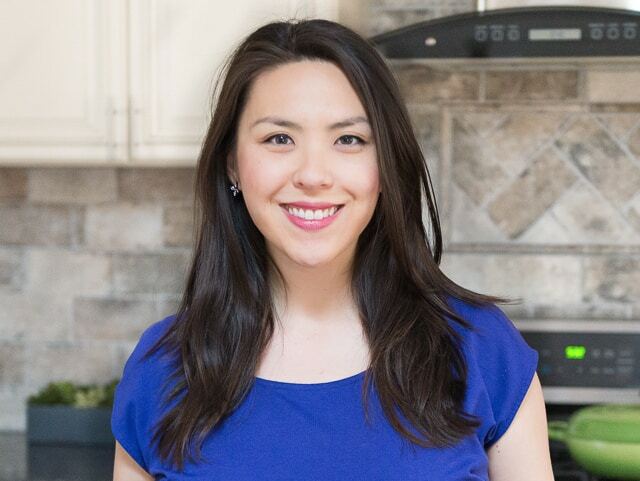 Honey Walnut Shrimp, Orange Glazed Five Spice Duck, and Lettuce Wraps are some of my other favorite Asian recipes to make at home. The recipe is below, and I have a full video of the process as well, below that. This classic Broccoli Salad is another one of my favorite ways to prepare broccoli, if you have extra in your fridge. Happy cooking! 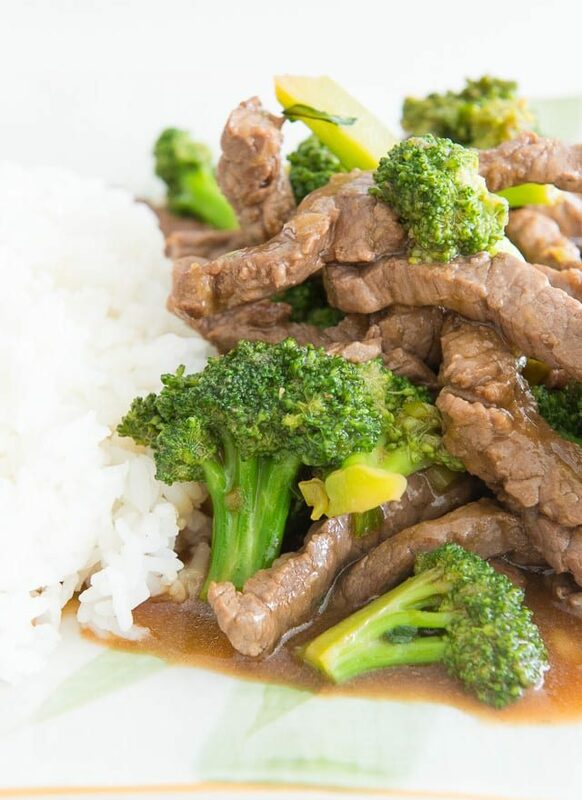 In a small bowl, toss to combine the beef, soy sauce, and rice cooking wine. Let sit while you prepare the rest of the recipe. 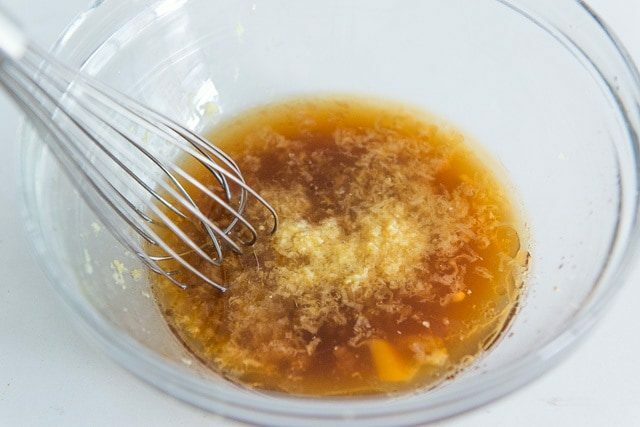 For the sauce, whisk together all ingredients. For the stir fry, heat one tablespoon of oil in a wok or high sided skillet over high heat, and add half of the marinated beef. 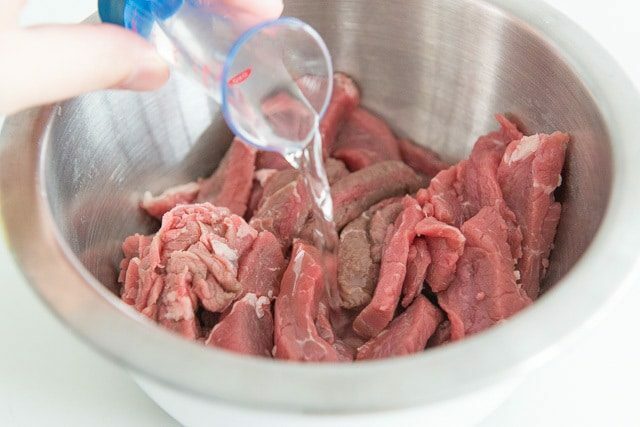 Let sit for 1 minute without stirring, so the beef can brown, then stir for 1-2 minutes, until the beef is mostly cooked through. Remove the beef and wipe out the pan. Repeat the process with the other half of the beef. 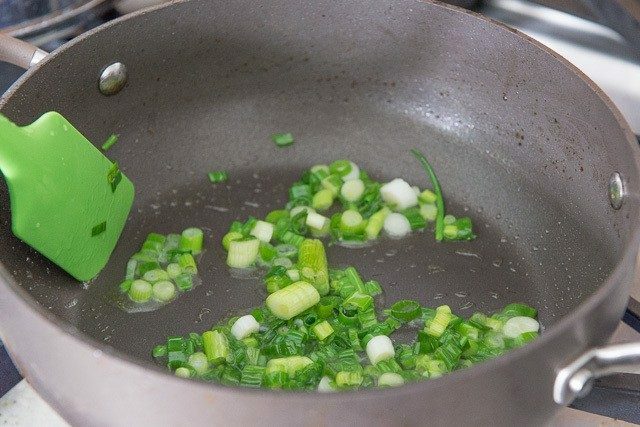 Add the remaining tablespoon of oil to the pan and add the scallions. 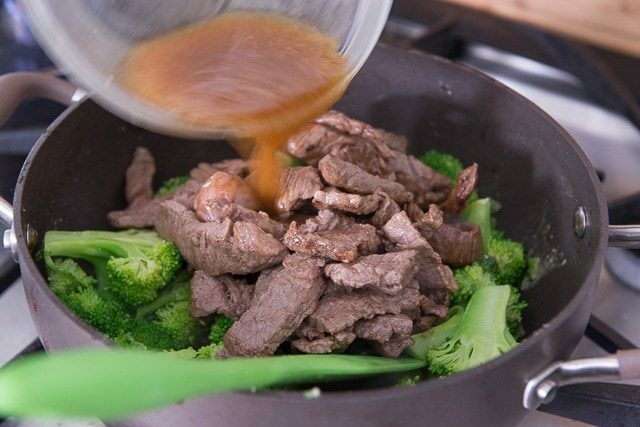 Stir around for 30 seconds, then add the blanched broccoli, the mostly cooked beef, and all of the sauce. Cook for 1-2 minutes until the beef is fully cooked and the sauce has thickened. Take care not to overcook the beef. Serve with rice, if desired, and enjoy! *Any high heat oil works here, like avocado oil. 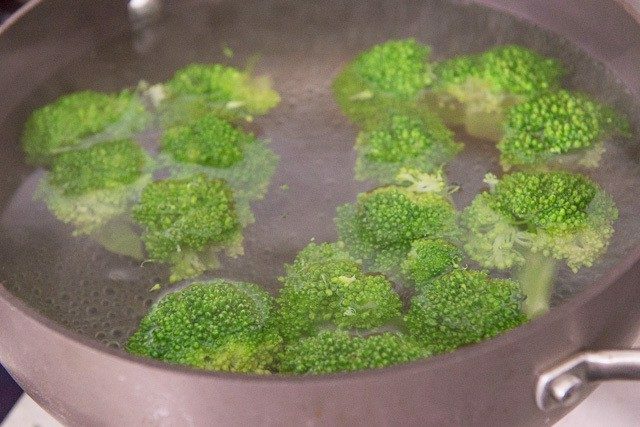 **Blanching just means you cook the broccoli florets in boiling water for 30 seconds, then drain and rinse. That way it's slightly cooked before adding to the stir fry. Post updated in October 2018. Originally published October 2016. You hit my weak spot listing the Chinese “Take outs”. I even bought a bottle of Shao Xing cooking wine for my recipes. I’m looking forward to cooking your Beef and Broccoli. One of my favorites. Really enjoy making this one at home and can’t believe how simple it is. Thanks.